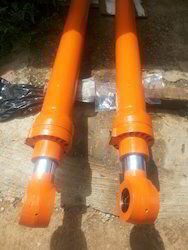 Bharani is the preferred name of the industry that provides Excavator Hydraulic Cylinders that are made in adherence to the preset industry standards. Vastly used in several earthmoving applications, these high functionality cylinders are widely known for their sturdiness, high durability and efficiency. The entire range is tested on several quality parameters, before handing over to the customers. 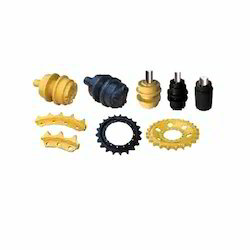 - As per OEM size and quality. Bharani is one of the preferred names of the industry that provides a vast array of Excavator Cylinder Seal Kits that are made in adherence to the preset OEM standards. Manufactured in a varied range of sizes, these high functionality seal kits are widely popular among our valued customers. Widely applauded for their reliable performance and dimensional accuracy, the offered kits are high in demand. 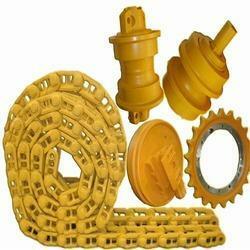 Bharani is one of the eminent manufacturers and traders of a wide collection of Hydraulic Excavator Spare Parts. Robust and dimensionally accurate, these spare parts can be availed in multiple specifications to cater to the diverse customer needs. Tested for its complete quality assurance, the proposed range of durable and robust spare parts is widely demanded in the industry. 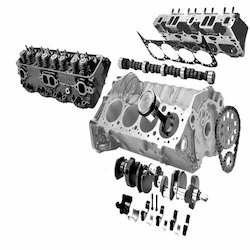 Our company is one of the trusted names of the industry that offers a vast assemblage of Marine Engine Spare Parts. Applauded for their robustness, longer functional life, dimensional accuracy and smooth operation, these spare parts are widely demanded in the industry. Made from optimum quality materials, these efficient spare parts are tested, before their final dispatch. We, Bharani Heavy Equipement Spares, established our operations in the year 2008, as one of the well known manufacturers, exporters, suppliers, traders and importers of a wide array of Construction Equipment & Excavator Spare Parts. 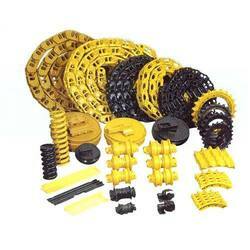 Our product series encompasses Construction Equipment Parts, Excavator Spare Parts and Hydraulic Cylinders. We are extremely concerned with the quality of our products and to make sure of the same, we procure optimum quality raw materials from our trustworthy vendors. In addition, our professionals make sure that the preset industry standards are followed while manufacturing these construction equipment and spare parts. Owing to the high functionality, dimensional preciseness, longer operational life and robustness, the offered products are widely demanded in the market. We have established a state-of-the-art infrastructure that comprises of several machines and tolls that are based on latest and modern technology. Further, to manage the infrastructure and operations, we have hired a team of experienced professionals which is well trained to understand and fulfill the exact requirements of our customers. At Bharani, we are engaged in carrying out numerous tests to examine the quality and flawlessness of our products, before the final dispatch. We have our esteemed clients from UAE.